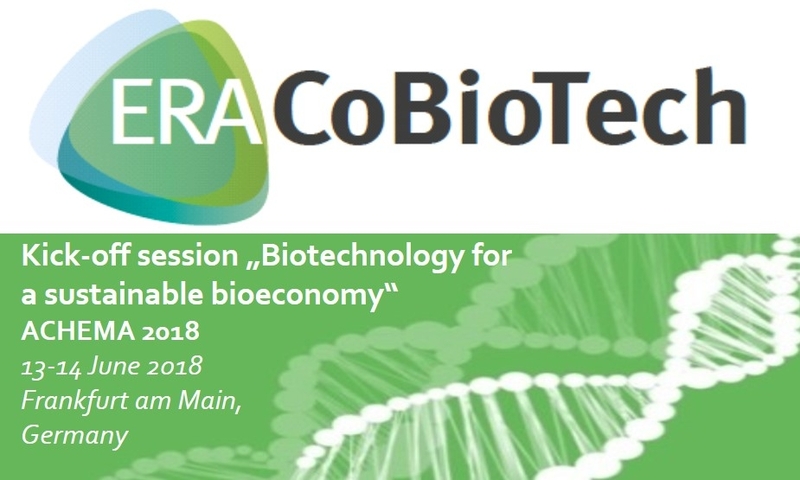 Coordinators and representatives of 22 research projects - emerged from the ERA CoBioTech’s call, cofunded by the European Commission - will present their research projects on June 13-14, 2018 in a kick-off session at the ACHEMA congress in Frankfurt am Main in Germany. The kick-off session will take place in the “Congress Center Frankfurt Messe” (CMF) in room Conclusio 2. Participation in the kick-off session is free of charge and is open for everyone. However, a ticket to enter the ACHEMA 2018 is required. Information about ticket sales for ACHEMA can be found here. 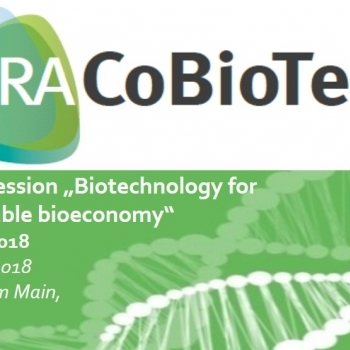 On 13 June 2018 (6 – 8 p.m.) ERA CoBioTech will organize a networking reception in the foyer in front of the plenary hall, “Conclusio 2” (CMF). The reception will provide an opportunity to speakers of the kick-off session, funders from ERA CoBioTech, representatives of research projects funded by other initiatives (e.g. SPIRE, BBI), representatives of companies operating in the domain bio-economy and guests to discuss and exchange information and will serve as a platform for networking and matchmaking. The networking reception is underpinned by the H2020 project BioLinX (http://www.biolinx-project.eu/ ), which is supporting research projects in commercializing their innovative ideas and connects them to markets and regional networks. Your registration for the event will also allow you to explore the list of registered participants and select potential partners to meet during the event. After the event, the BioLinX registration platform will be used to arrange online meetings with potential partners and to deepen the contact. The online brokerage event offered by BioLinX on 27.06.2018 will provide an additional possibility to spark further collaborations and join participation in future calls of ERA CoBioTech without the need for traveling. Both events, the kick-off session at ACHEMA in Frankfurt and the online brokerage event are free of charge. However, registration is required. Take the opportunity to meet potential cooperation partners easily, onsite and online. For further information, please send E-mail to Boris Vashev, Agency for Renewable Resources, b.vashev@fnr.de .